Need another reason to earn IHMM Credentials (CHMM, CHMP, CDGP)? Enhanced earning power. According to a recent salary survey, the results indicate that the median annual base salary of individuals holding a credential from IHMM, CHMM, CHMP or CDGP - is $100,000, about 20 percent greater than the median annual base salary of survey respondents who held no certification; $83,000. Further, when years of experience are taken into account, salaries are approximately 10 percent higher for IHMM certificate holders with 5 to 14 year's experience than a professional with the same experience not holding a credential. East TN Chapter members, if you are a Kroger shopper, you can help our chapter raise money to use for our charitable giving when you swipe your Kroger Plus card or enter the phone number associated with your Kroger Plus card at checkout. Click here for the instructions from Kroger. The mission of the Alliance of Hazardous Materials Professionals (AHMP), is to provide opportunities to gain and share knowledge about hazardous materials management, create gathering places (communities) and a voice for professionals with common interests in hazardous materials management and provide management support for smaller communities of hazardous materials professionals. The vision of the Alliance of Hazardous Materials Professionals is to be the recognized global leader and resource for hazardous materials professionals. Provide a forum for information exchange among peers in order to promote qualified environmental decision making. 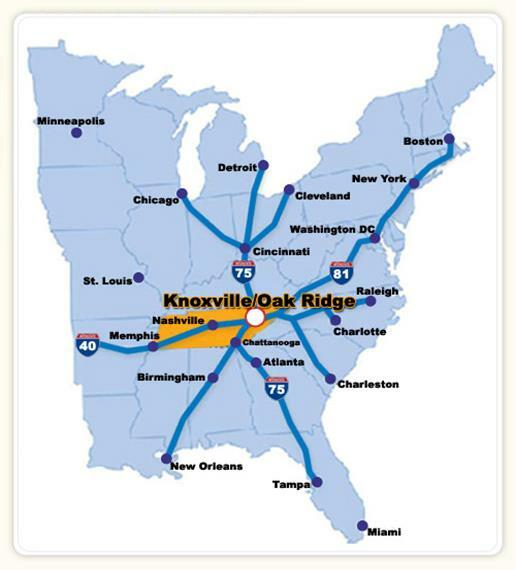 The Alliance of Hazardous Materials Professionals, East Tennessee Chapter, draws on available resources in the Knoxville/Oak Ridge, Tennessee, area to support the local community and advance the mission of AHMP through activities, meetings, tours, presentations and training. Chapter members include representatives of Federal and State government agencies, industry, utilities, academia, and other professional organizations. Meetings are held the second Thursday, every other month at 6:10 PM. Meetings are held at StrataG unless there is a tour or other event scheduled. The address is 2027 Castaic Lane, Knoxville, TN 37932. Take the Hardin Valley Road exit off of Pellissippi Parkway, travel toward Pellissippi State on Hardin Valley Road and turn left beside the McDonald's. StrataG is in the brick building above/behind McDonald's.